Tell us what Heineken could do in a crowded, upscale bar to capture the interest of a young man, make him feel special among his friends and remind him why Heineken is the only beer for him. Format: Presentations, storyboards, illustrations with explanations (PDF format only). 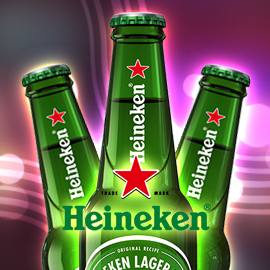 Heineken On-trade Engagement contest will be running until September 2, 2013. Show us your best ideas! :D Note: The Contest is open to legal residents of France, Germany, Spain, Italy, Portugal, the United Kingdom, Russia, Mexico, Australia, Mainland China, Japan, Indonesia, South Korea, Singapore and the fifty (50) United States and the District of Columbia who are at least 21 years old at the time of entry.Please join the contest in order to read the full brief. Design the Next Generation of Showers!